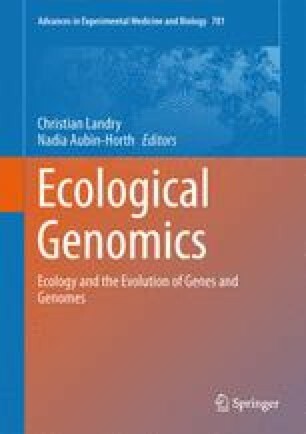 To understand the origin, history, and function, of natural biological variation, from nucleotide to community levels, is a fundamental promise of ecological genomics. The most fruitful systems for this work are those that possess both ecological and genomic resources. Such systems provide an opportunity to precisely dissect genetic and developmental mechanisms, and to connect genotypes to phenotypes, as well as to directly demonstrate the ecological and evolutionary relevance of this phenotypic variation. Here we synthesize findings emerging from our efforts to understand two fundamental evolutionary processes − speciation and adaptation – using ecological genomics approaches. Many of these studies have been in the wild tomato clade (Solanum section Lycopersicon), a group that has both exceptional diversity and genomic tools. We also highlight the expanding taxonomic reach of this work, especially in two genera – Capsicum and Jaltomata – that are closely related to Solanum. Parallel approaches in these ecologically and reproductively diverse clades enable us to examine novel questions and traits that are not captured within Solanum, while leveraging the power of comparative studies to understand shared ecological and evolutionary patterns. By synthesizing findings from phenotypic, ecophysiological, genetic, and comparative perspectives, our ultimate goal is to understand the complex mechanistic and evolutionary contributions to the formation of new traits and species diversity. Members of the Moyle lab, and two anonymous reviewers, provided helpful feedback. T. Mione kindly shared Jaltomata seed material and unpublished data, and T. Carlo kindly shared unpublished Capsicum data. The C.M. Rick Tomato Genetics Resource Center (tgrc.ucdavis.edu) provided access to their collections and collection information database. This work was supported by National Science Foundation (Division of Environmental Biology/Dimensions of Biodiversity) award 1136707 (to L.C.M. and D.C.H). J.L.K. was supported by the IU Biology Floyd Plant and Fungal Biology Summer Fellowship, Amherst College Graduate Fellowship, and an NIH Genetics, Cellular, and Molecular Sciences training grant, award 5T32GM007757.